Musician as Citizen, affectionately known as MAC, is our newest youth leadership initiative. 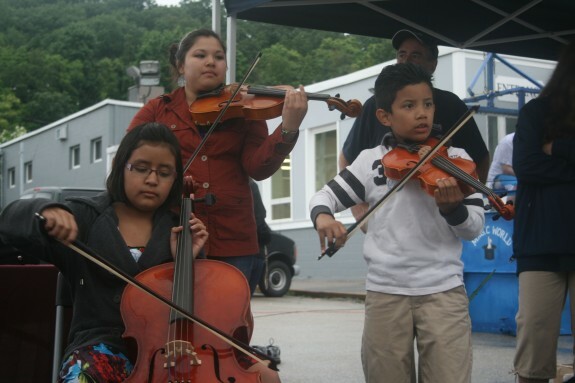 This program provides ChamberFest students with opportunities to share their love of music and mentorship skills with youth in WCMS’s Neighborhood Strings program. What does the Musician as Citizen program give me? What would I do as a Musician as Citizen, volunteering in Neighborhood Strings? • Assist a professional teaching artist in a group class environment: tweak bow hold, demonstrate a technique or lead an activity!